Anna Nicole Smith – Her secret connection to the Bush and the Inner Cabal of power in America today. You probably think that the hysteria over the Anna Nicole Smith case is all media hype. Most of it is, naturally. Gorgeous, blond, nubile woman, married creaky, aged billionaire, inherits unimaginably enormous slug of cash and is done wrong by his rapacious, greedy relatives. Gorgeous woman goes to court and gets a hearing from the Supreme Court after being demeaned, dissed by these same pompous creeps. That is the story that had fired the imaginations of Americans. But the REAL story is actually much more exciting leading us into the inner chambers of power of the multigenerational Robber Barons who have worked so hard to file the serial numbers off the Constitution and transfer owner ship of America to themselves. What Anna Nicole Smith stood to inherit was stock in a secretive, NeoCon associate, Koch Industries. Privately held companies cannot be forced to reveal their corporate books by anyone but a stock holder. Anna Nicole Smith could have forced Koch Industries, the company whose stock she inherited, to show her the books if she had been so inclined. Those corporate books are thought to reveal cost plus contracts, unusual treatment by courts and government agencies that normally are charged with protecting the public, and other information that brings into question their relations with the Bush administration. 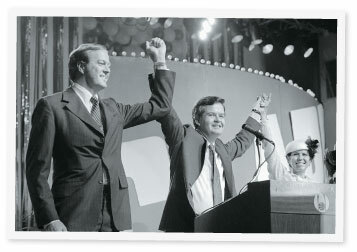 A Koch presence in Vietnam with Halliburton and the same relationship going on today in Iraq. The bottom line is also purported to show just what Koch Industries will do to avoid accountability for killing people, even American teenagers not yet sucked into wars. In late 2000 it seemed that some of these corporate policies might be catching up with Koch; they were hit with a 97-count indictment related to a cover up of discharge of more than 15 times the legal limit of benzene, a carcinogen, from a refinery in Corpus Christi, Texas. 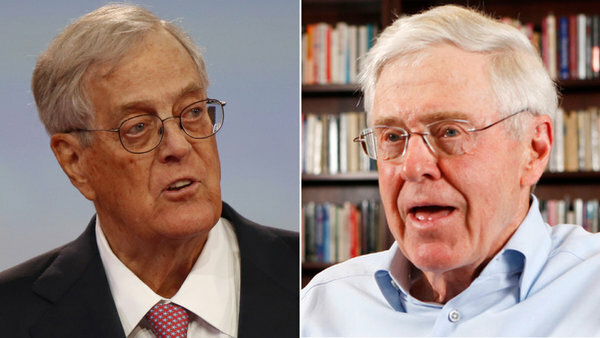 Koch faced penalties of $350, 000,000.00, according to the Center for Public Integrity. The company faced penalties of more than $350 million. Four Koch employees were also charged individually, facing up to 35 years in prison according to the same source. The lawsuits were settled three months into the Bush Administration. Koch plead guilty to one count of concealment, agreed to pay 20,000,000. All criminal charges were dropped by the Justice Department. According to Greg Palast, published on BBC.com, in May of 2001, Koch Industries was then the third largest industry donor to the Bush Campaign. In another case, Koch was sued by the government in 1995 and 1997 over a reported 300 oil spills at pipelines owned and operated by the company. Those lawsuits sought from $71 million to $214 million in penalties for the spills, which dumped an estimated three million gallons of oil into lakes and streams in six states. On January 13, 2000, the Justice Department settled that case for $35 million in fines, according again to the Center for Public Integrity. Koch Brother, Bill, interviewed on 60 minutes August 21, 2001, said, "It was – was my family company. I was out of it," he says. "But that’s what appalled me so much… I did not want my family, my legacy, my father’s legacy to be based upon organized crime." Did Anna Nicole Smith understand what is at stake? Maybe, maybe not. But these are the facts of what hinged on the court case still playing out. Most people think we are talking about the brown, bubbly drink spelled Coke when they first hear about Koch Industries, but the brown fluid at the foundation of the Koch fortune is oil. The viscosity is different, both are bad for us, but one we know about and the other lurks, unseen, for the most part, in the halls of power. 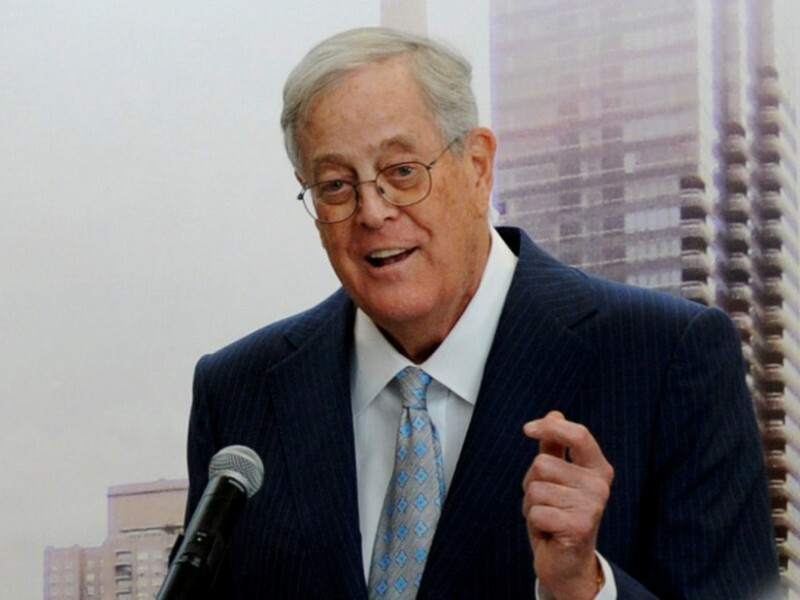 Koch Industries pays a bundle every year to avoid publicity. Their holdings and business stretch like tentacles into every imaginable industry that is pumping Americans dry. When Anna Nicole Smith became a widow she acquired a claim on the stock held in trust that her husband, Howard Marshall, II, owned. That stock amounts to 16% of Koch Industries. Like many oil families the issue of ethics often went by the way side. The Koch and Marshall families were no different. Conflict on how the fortunes would be handled that reflect some of the questionable strategies that founded those fortunes, continue to actively divide those involved. Of the four brothers who inherited control of Rock Island Oil & Refining Co., at the death of their father, Fred Koch, in 1967, Charles and David managed to get a lock on control, renaming the megacorporation Koch Industries. The other two brothers, Fred, Jr. and William, retreated, having lost what seems to be an attempt to change the direction of the corporation. The guy inside Koch who orchestrates their PR and political strategy is named…..you will not believe this but I could not make it up……Rich Fink. Their money, how they get in and what they will do to lower their costs and hang onto that money are some of the things they want to keep private. Koch Industries was hit by the largest judgment for personal liability in history over the incineration of Danielle Smalley and a friend on Aug. 24, 1996. The cause was a defective high-pressure gas pipeline that exploded, taking the lives of the two teenagers. Both were 17. The amount named by the jury was 296 million dollars. Punitive damage awards exist to make it possible to hit those with money and power to act with blatant disregard of others. This although Koch Industries admitted in court it had not properly maintained the lines and had failed to tell the public, according to the site of the attorney representing the Smalleys, Jim Arnold and Associates. Conveniently enough for Koch Industries the Texas court forced a reduction in the award that meant that Danielle's father had to sign a nondisclosure agreement on the amount awarded. The Smalley case was only one of three hundred spills caused by over six states in the 90s for which Koch Industries was fined according to Planet Ark. Guess who was governor in Texas at the time? George W. Bush. In 1992 a wedding took place at Camp David between Doro Bush and Robert Koch. When you notice the names and wonder about the relationship there you find that despite the visibility of the families you cannot discover if Robert Koch is related to the Koch's who founded Koch Industries unless you really dig. That is the real story. It explains the desperate need to hold on to that inheritance. Sometimes it is the money and sometimes it is hiding the truth. When you bottom line depends on hiding the truth spending money to accomplish that end is just business as usual. First published in early 2007- Thanks to Melinda Pillsbury-Foster, who posted it on her blog.